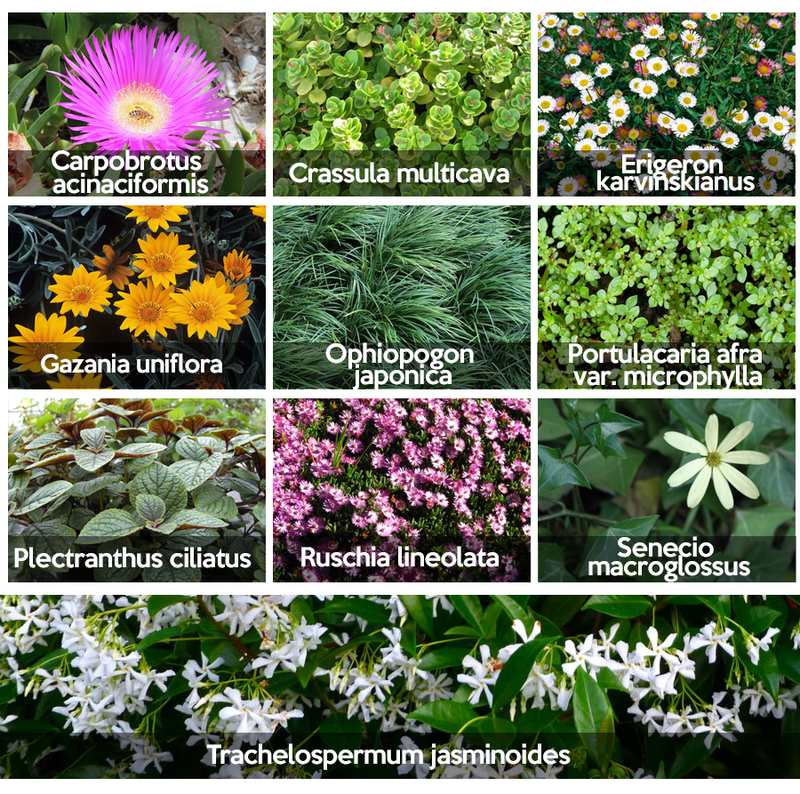 Here are 10 groundcovers that perform admirably in our local climatic conditions. Carpobrotus acinaciformis (purple sour fig) – succulent with longish fleshy leaves and purple flowers. Low and ground hugging spreading rapidly. Full sun. drought tolerant. Indigenous. Crassula multicava (fairy crassula) – succulent with round fleshy leaves and fine pale pink flowers. Spreads slowly but surely. Sun or shade. Drought tolerant. Indigenous. Erigeron karvinskianus (Mexican fleabane) – spreading perennial with small white daisy flowers. Covers quickly. 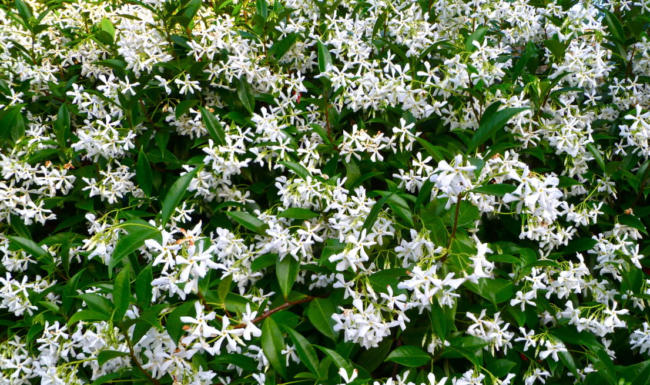 Needs regular pruning after blooming. Sun or shade. Gazania uniflora (star flower) – furry grey leaves on wide spreading stems with yellow flowers. Spreads fast and neatly. Full sun. Drought tolerant. Indigenous. Ophiopogon japonica (mondo grass) – green grass-like leaves in compact clumps. White flowers and blue berries are insignificant. Slow to cover. Sun to deep shade. Portulacaria afra var. microphylla (small-leaved pork bush) – succulent with small round leaves on creeping stems. Flowers insignificant. Medium growth rate. Sun or shade. Drought tolerant. Indigenous. Plectranthus ciliatus (spur-flower) – dark green leaves on spreading stems with white flowers in aurumn. Quick growing. Dappled shade to deep shade. Indigenous. Ruschia lineolata (mountain mesemb) – succulent with small elongated grey leaves tightly packed on low spreading stems. Mauve pink flowers in September. Medium growth rate. Full sun. Drought tolerant. Indigenous. Senecio macroglossus (wax vine) – waxy ivy-like leaves on thin wiry stems. Cream daisy flowers. Spreads rapidly. Sun or shade. Drought tolerant. Indigenous. 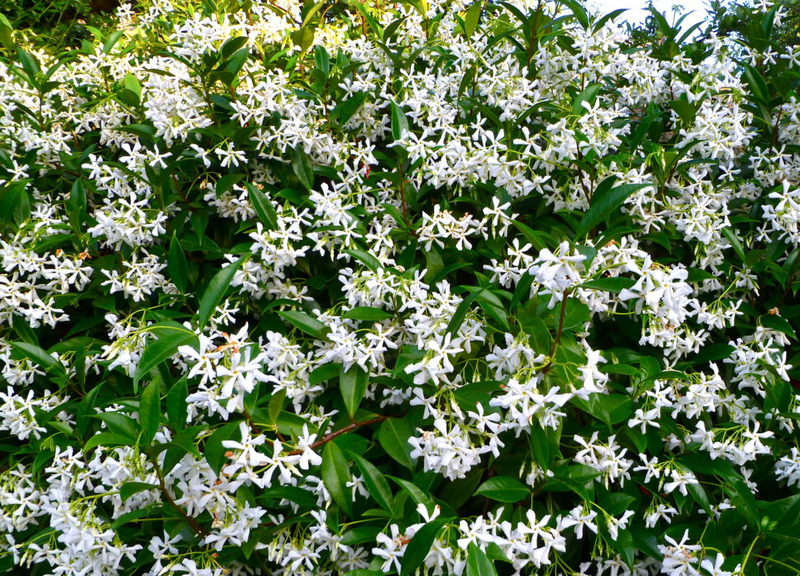 Trachelospermum jasminoides (star jasmine) – shiny green leaves on twining stems with scented white flowers in October. Quick growing climber. Needs regular pruning to keep as groundcover. Sun or shade.